Please join us at Fort Kaskaskia, on the Shawnee National Forest, while we continue to explore and uncover the rich history of southern Illinois! This year, our goal is to learn more about French Colonial archaeology and, hopefully, more about the Lewis and Clark Corps of Discovery. Archaeological explorations in southern Illinois have a long heritage of French colonial occupation dating back to the late 18th-century. There are French land claims scattered along the edges of the Forest, as well as features and old roads, such as Le Grand Trace, associated with French exploration. 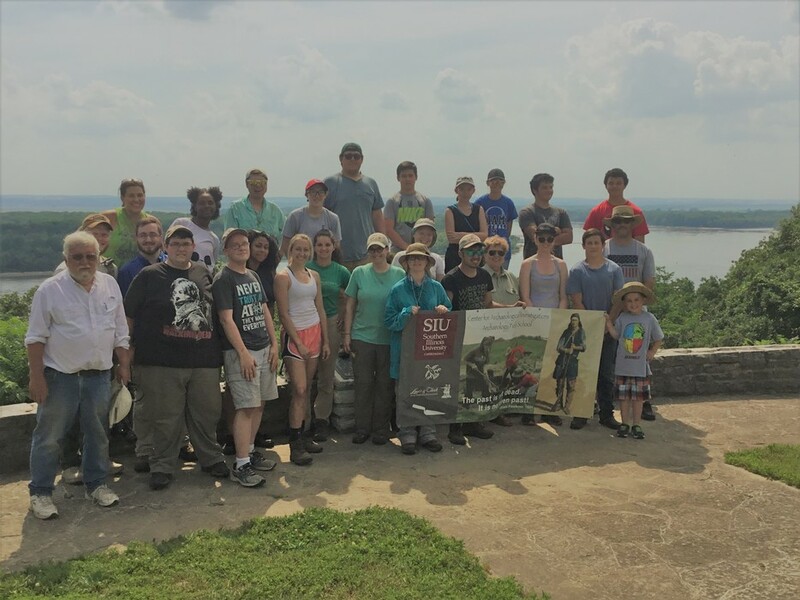 This summer, Southern Illinois University’s (SIU) archaeological field school is being held at Fort Kaskaskia, in Randolph County, in the heart of Illinois’ French colonial district. In 2017, SIU archaeologists unexpectedly discovered there were two Ft. Kaskaskias: a French Colonial fort (in use ca. 1759-1765) and the remains of an American fort (in use ca. 1802-1807). The latter was visited by Lewis and Clark in 1803. The existence of the American fort had been unknown before last year's field school! Recovering artifacts discarded from the forts’ previous occupants allows us to actually touch the past – and is a great way to learn more about Illinois' history. PIT participants will also have a day to tour the surrounding countryside, which is dotted with French architecture and history, and to take in these sights via a ferry across the Mississippi River – we hope to see you in June!